From PUBG to Asphalt 9, here are our picks for the best console-quality games on smartphones. Gaming has been a huge industry for a long time, but clearly split between console and PC gamers. However, while there was initially some serious interest in portable gaming, which was first fulfilled by the Nintendo Gameboy, Nintendo DS, Sony PSP, Sony PS Vita and the Nintendo Switch, mobile devices are now upstaging them across the board. PUBG (PlayerUnknown’s Battlegrounds) is an online battle royale game that gained traction soon after it launched on PC and Xbox One platforms. The game was then ported to both Mobile and PlayStation 4 platforms. PUBG Mobile is quite similar to all its other counterparts with a few tweaks to make it playable on iOS and Android phones. 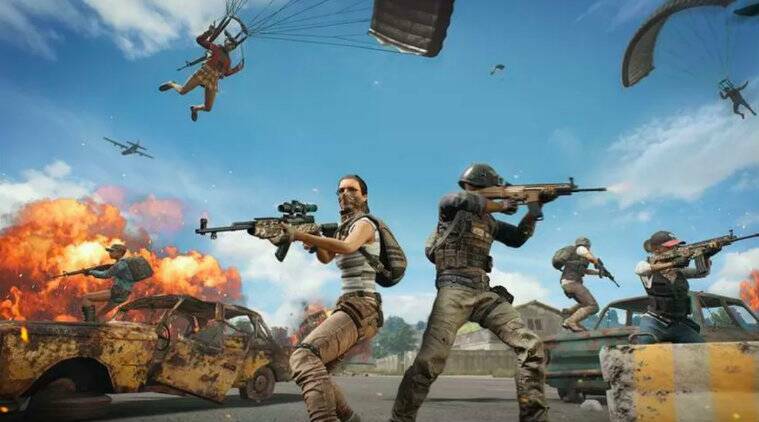 In PUBG Mobile, a total of 100 players jump off a plane onto a battlefield where they have to fight off other players to become the last player standing and win the metaphorical chicken dinner. There are four maps that players can select namely Erangel, Miramar, Sanhok and Vikendi. PUBG Mobile has also been awarded as the best game of 2018 in Google’s Play Store. It has already passed 300 million downloads on Mobile platforms and has over 35 million concurrent players daily. Fortnite, another online battle royale game very similar to PUBG Mobile, comes with a little twist allowing players to build and destroy structures too. It is available on Windows, macOS, Nintendo Switch, PlayStation 4, Xbox One, iOS, and Android platforms. The game has a similar concept to PUBG, wherein 100 players jump into a battlefield from a battle bus to fight it out with each other. The last person standing wins the match and gets a few rewards. The game was made available on iOS earlier this year and was introduced on Android recently, with only a select amount of devices that are able to play it. The game is available on Apple’s App Store for iPhones and Fortnite’s own website for select Android smartphones. Asphalt 9: Legends is the ninth installment in the popular series of the Asphalt mobile car racing game released back in July. The series features multiple improvements in graphics, new cars, maps, controls and more for players to stay hooked. This is the direct sequel to Asphalt 8: Airborne, which was released back in 2013. This version also brings back the highly popular nitro shockwave, which was introduced with Asphalt 6: Adrenaline and was absent in the last iteration, Asphalt 8: Airborne. It is an extremely fun game to play if you were a fan of any NFS games while growing up, as it is able to bring back the rush a player felt while winning a race in any of the NFS franchise. Players can play in three modes – Career, Multiplayer, and Events, all of which have their own feel. Alto’s Odyssey is a fun endless runner game in which players have to help Alto cross dunes, canyons and explore long-hidden temples in a place far from his home. This game is a successor to the hugely popular Alto’s Adventure released back in 2015. In this game, players have to cross various types of surfaces without falling or being caught, they also have to grind vines, buntings, bounce off of hot air balloons, ride on rock walls and much more. This game will help players pass their time without even once noticing the clock. Shadowgun Legends is a first-person shooter (FPS) game released earlier this year for Android and iOS devices. It is the third installment in the popular Shadowgun game series. It has been six years since the last Shadowgun game titled, Shadowgun Deadzone was released. The game consists of two modes Player vs Enemy (PvE) and Player vs Player (PvP), both of which are equally fun and engaging to play. The PvE mode comes with over 200 campaign missions, whereas, the PvP mode comes with a number of gameplay modes like Duel, Ascendancy, Elimination, Dungeons, and Arenas. Shadowgun Legends doesn’t restrict itself to the bounds of being an FPS only game, but also ventures into the world of role-playing and massively multi-player (MMO) genres making it much more fun to play. The most interesting thing about this game is that the main weapon is not wielded by the player instead it is the player’s character. Player’s first have to create a Shadowgun soldier who is then transported into the base of Shadowguns where they can then access various missions, playing with other players, casinos, bars, shop, and other in-game content.